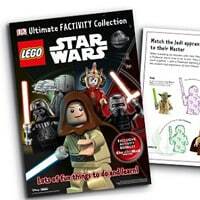 Just get a copy of Sunday Mail tomorrow (23rd October 2016) and inside you will find a coupon which you can use to get a free Lego Start Wars activity booklet and cool stickers. Just take off the paper clippings to the nearest store and claim your activity pack. Click on “GET IT HERE” button and then read more about this freebie on Daily Mail website.